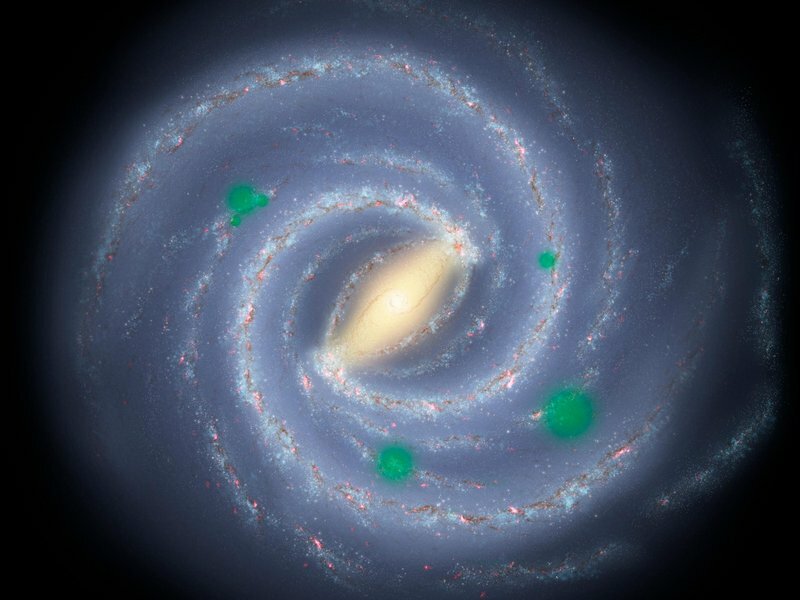 The number of inhabited (or “infected”) planets in the galaxy, and their distribution, could provide clues as to whether life tends to arise independently on suitable worlds, or whether it gets scattered among the stars by meteorites or comets. According to Henry Lin and Abraham Loeb of Harvard University, if there are clumpy patterns (or “bubbles”) of inhabited planets in the galaxy, with voids in between, that would be evidence for panspermia. “In our theory clusters of life form, grow, and overlap like bubbles in a pot of boiling water,” Lin added. Even if not seeding life itself, the building blocks of life could still be distributed in the same way. Comets are known to contain such chemical building blocks, although actual life, such as bacteria, has not yet been detected in any. Only a handful have been studied in detail so far however, out of the thousands known to be in our Solar System. Scientists are still hopeful though that evidence of alien life will eventually be found in other Solar Systems. Exoplanets are now being discovered in the thousands, with new ones virtually every week now. But astronomers don’t yet know how many of them are habitable, let alone actually inhabited. New telescopes now being designed will be able to study the atmospheres of many of them, searching for chemical biomarkers – evidence of biological activity. At that point, Lin and Loeb’s hypothesis could be useful; if a bunch of inhabited planets were to be found concentrated on one side of the sky, that would be evidence for panspermia, suggesting that Earth is located near the edge of one of these clusters. Even just 25 such planets would be enough, according to the researchers. 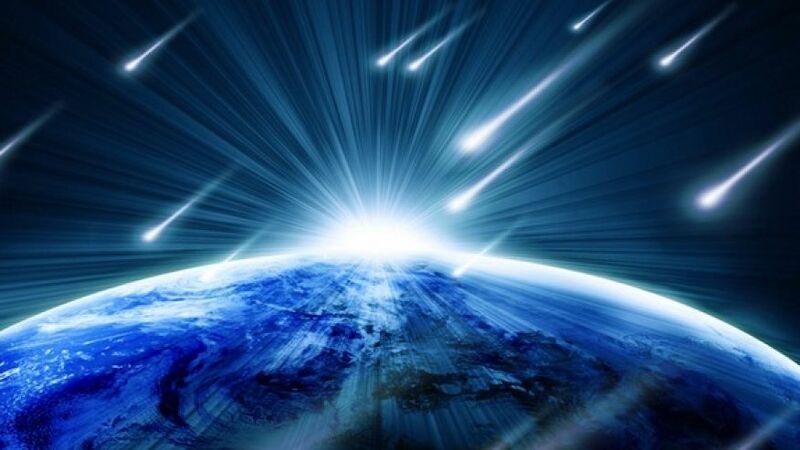 If inhabited planets were more randomly distributed, that would suggest that panspermia isn’t responsible and that life originated separately on each world. Either result would be very useful in helping to understand how life arises on what kinds of planets and under what conditions. Lin acknowledges that all of this is still speculation at this point. “Most of the papers like this are going to be wrong,” he said. There’s also the question of how long it would take panspermia to occur. If it happens relatively quickly, on the order of hundreds of millions of years, the clusters or “bubbles” of inhabited planets would likely be long-since dispersed by now. Broken-up bubbles might form new, smaller ones. If life spread very slowly however, the bubbles would be more difficult to detect. Of course, what the alien life actually looked like could be another factor in determining either yay or nay for the panspermia idea. If it resembled nothing that we know of Earth, and had radically different chemistry involved, that would be a strike against panspermia. Even if it somehow evolved in a very different environment, any life originating from here, or from another planet to Earth, should have at least some basic similarities. Another aspect of panspermia is the possibility of life spreading between planets in our own Solar System, such as from Earth to Mars or vice versa. Microscopic life could conceivably hitch a ride on meteorites travelling between Earth and Mars for example, but it is still unproven whether this has actually occurred. “Seeding” of life’s building blocks or even life itself could conceivably happen via comets within our Solar System as well, but that is also still speculation at this point. The meteorite does, however, also contain carbonates which showed evidence of precipitating at a temperature of 18 ˚C (64 ˚F) with water and carbon dioxide from the Martian atmosphere. The isotopic ratios of the carbonates implied that the carbonates were deposited from a gradually evaporating subsurface water body, most likely a shallow aquifer meters or tens of meters below the surface. This would also agree with water-related findings from the various orbiters, landers and rovers on Mars. Tissint is another Martian meteorite which may contain evidence of past biological activity in the form of deposits of carbon inside fissures inside the meteorite, as announced in 2014. Isotopic ratios of the carbon showed it to be very similar to the ratios of coal (biological in origin) and carbon in the atmosphere on Earth. It isn’t a slam dunk for life on Mars yet, but it is a compelling discovery. If past life on Mars were proven, the next step would be to determine whether it arose independently on that planet, or if it shared a biological history with Earth. This would help scientists better evaluate how likely panspermia on a larger scale might be, beyond our Solar System. Microorganisms have also been found to survive quite happily on the International Space Station (ISS). Some have been there since the construction of the space station began, and others have of course accompanied their human hosts. Scientists want to study them to learn more about the effects on long-duration human missions in enclosed habitats like the space station or spacecraft. In other experiments on the ISS, it has been shown that bacteria can indeed survive space travel. Spores of Bacillus pumilus SAFR-032 survived harsh UV radiation and simulated Martian environments. The experiments support the idea that panspermia would be possible elsewhere in space. In 2014, it was also reported by Russian scientists that earthly microbes had been found living on the outside of the ISS. Those findings, however, weren’t confirmed by NASA. If Lin and Loeb are correct, life might get spread throughout the galaxy or even universe rather easily and be very common. Or perhaps it only arises independently on planets with suitable conditions. We don’t know yet, but we are getting closer to finally answering some of these questions. Thank you for this well written and thought out article. I wish to add something my biochemist friend told me recently. A friend postulated that ordinary dust could be conducted up into space. The surface charge to mass ratio (Zeta potential IIRC), of fine dust is such that the Earth’s magnetic field is strong enough to form a path along which these charged motes can travel. I haven’t researched this but it does sound plausible to me. She said that was interesting because the Zeta potential of microbial spores is often very much greater than that of mineral dust. We wonder if it would be a good project for a cube sat to orbit Earth and open a port or something to collect possible spores that may be conveyed away from Earth’s gravity and perhaps to be blown “downstream” in the solar wind? I0W, can we test the hypothesis that Earth is a potential source of interplanetary life?